the opening of our new location. a day for emergencies, 365 days a year. For over 70 years, our animal hospital network has provided comprehensive health care services to a diverse array of animals. We are thrilled to continually count the wags, purrs, pants, squeaks, and chirps of our patients, not to mention the beaming smiles on the faces of their human companions, as the tangible markers of our overwhelming success. To learn more about what our veterinarian team means to those we serve, please read our client testimonials—and we look forward to adding you to our ever-growing family of happy patients and satisfied customers! At Metairie Small Animal Hospital, our team is made up of a diverse group of veterinarians and support staff professionals who bring their love for animals to work with them everyday. Our veterinary team comes from all backgrounds, and they have joined Metairie Small Animal Hospital because of their desire to make a difference in the lives of animals, as well as the people who love those animals. 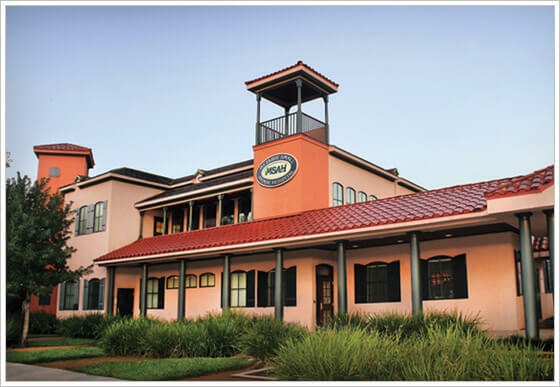 Metairie Small Animal Hospital is an animal care facility equipped to handle all medical and surgical needs. From preventive health care services to advanced diagnostic and surgical services, our doctors and staff are trained to manage all of your pet's needs. We are continually updating our equipment and educating our team to the latest medical information. We know that everyone has a budget and we will work within the confines of your budget to get the best outcome for your pet. individualized wellness care, surgical services, and critical care. It’s what we love and are passionate about. We provide veterinarian supervised boarding and overnight attendants so your pets are never alone. Bathing and Grooming Services are offered at all of our locations. the latest in training and play gear, and gifts for pet lovers. We understand that pet care emergencies can happen anytime of the day or night, and on any day of the year. The worst situation a pet owner can experience during a pet emergency is not having an animal hospital nearby to help treat and in many cases, save the life of their beloved family friend. This is why our Main Hospital on Metairie Road offers emergency vet care services 24 hours a day, 7 days a week, 365 days a year. Our emergency vet care facilities are equipped to handle every kind of pet emergency, and our emergency vet care team has extensive experience treating a plethora of pet related emergency medical situations. Because accidents do not take holidays, weekends, nights or any other time off, neither do we. Our emergency vet care team has helped thousands of patients and their human companions over the years and we are here for you whenever you need us. To learn more about the emergency vet care services offered at our Main Hospital, please click here. Or, if you are in the neighborhood, please stop by any one of our veterinary clinic locations to schedule an appointment for your pet. If you have any general contact inquiries for a veterinarian or our veterinary care support staff, please visit our contact page to get in touch with a member of our pet hospital staff.